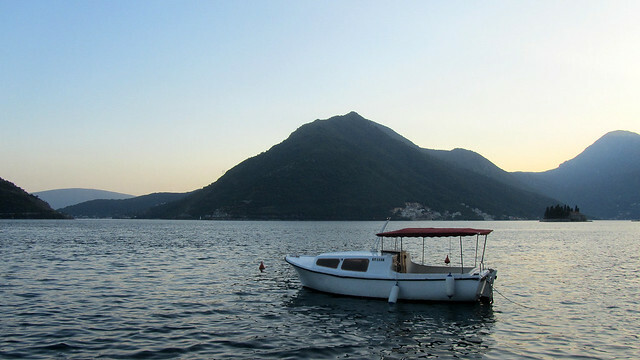 In search for clearer water than those surrounded the town of Kotor, F and I hopped onto a local bus that took us to Perast, a small town (or is it village?) 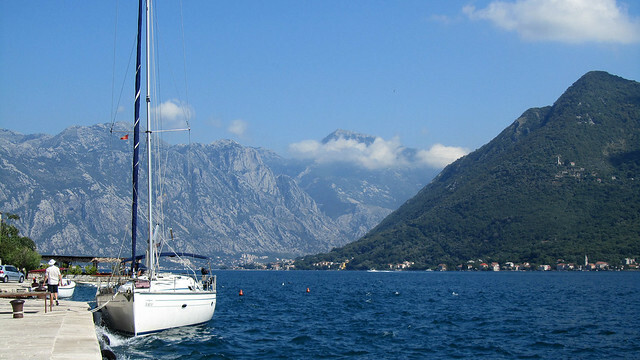 northwest of Kotor. 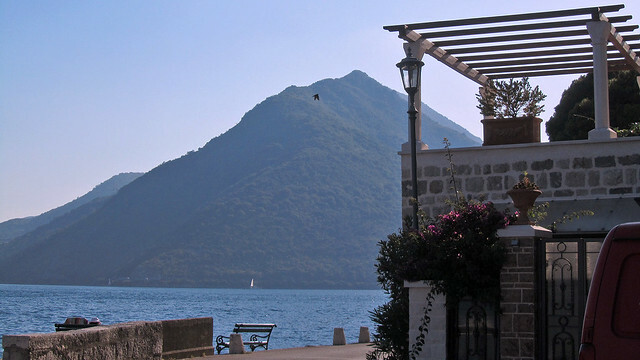 The bus deposited us by the side of an undistinguished motorway and had us wondering if we were told to get off at the wrong spot, when we realised we were at a level above the town. Off, downhill we went. 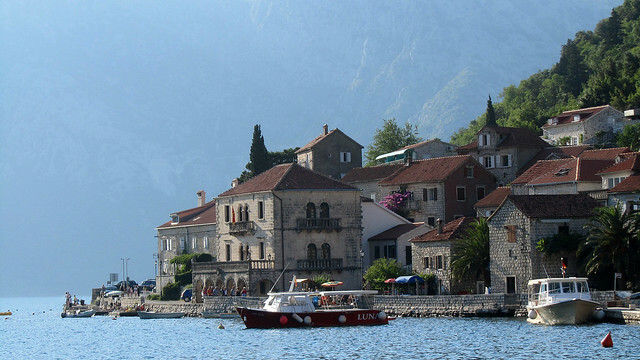 Perast is as quaint as it can get, surrounded by grey, rocky mountains and deep blue sea. 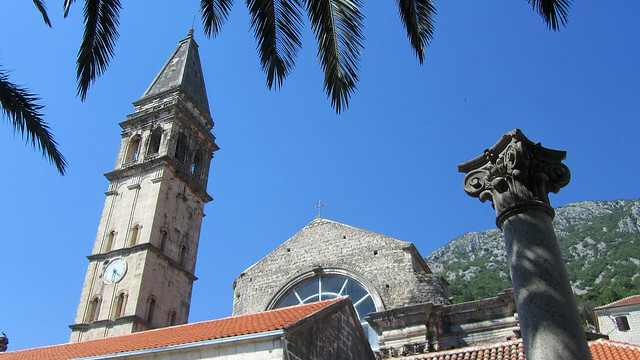 Unlike Kotor, we were not jostled about by scores of day-trippers and it felt relaxing to be here. The water was a bit choppier but it was clearer too. The only downside I guess would be the lack of proper beaches. 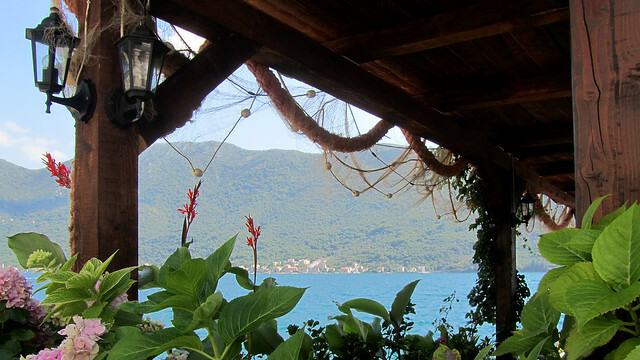 We did find one at the north-western end of the marina which was completely packed, and further south, well, we’d have to launch ourselves into the water from small piers-slash-parks by the waterfront. 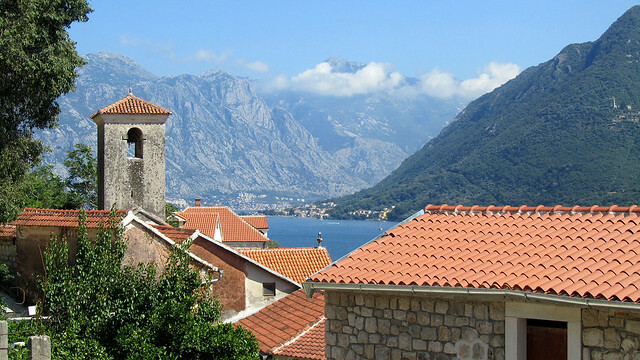 Just off the coast of Perast lies two small islands, that of St George and of Our Lady of the Rock, and each with their own charming chapels. 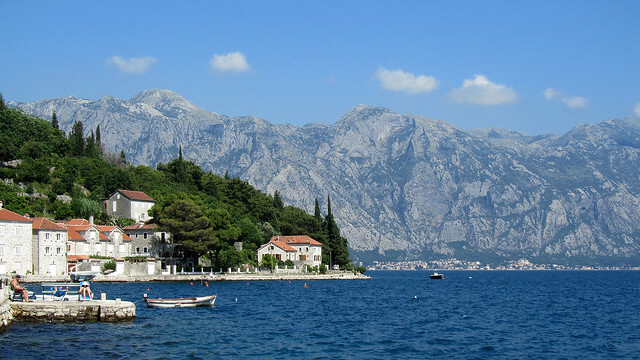 The latter is actually located on an artificial island, which had traditionally been “reinforced” by ceremonial throwing of rocks called Fašinada. 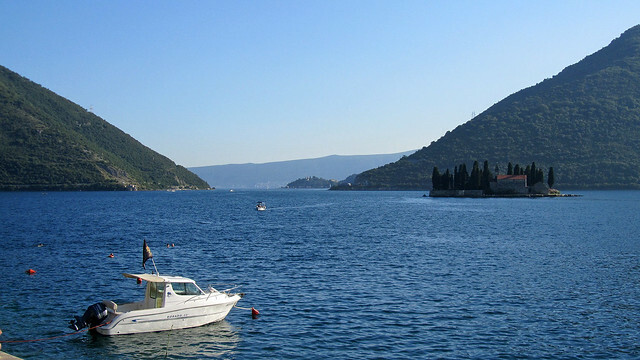 There are plenty of boatsmen in Perast who would take visitors to and fro these islands for a few Euros per person.